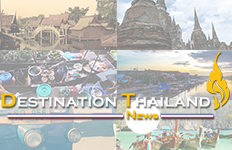 The beautiful resort town of Hua Hin was recently overwhelmed by the auspicious festivities as the iconic Centara Grand Beach Resort & Villas Hua Hin welcomed the Chinese New Year with authentic family experiences to bring joy and prosperity for the Year of the Pig. 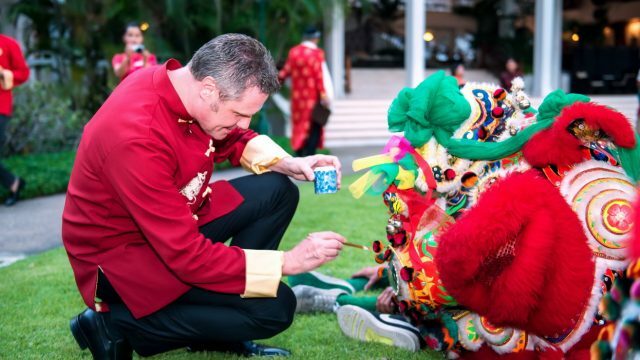 On the recent Chinese New Year’s Day, Centara Grand Beach Resort & Villas Hua Hin proudly celebrated one of the most eagerly anticipated festivals of the Chinese calendar with its Chinese New Year Prosperous Gala, presenting colourful customs, Chinese traditions and spectacular entertainment all evening. Led by David Martens, General Manager & Corporate Director of Operations Hua Hin, Krabi & Samui, the hotel’s management team greeted and welcomed guests and local residents of Hua Hin to the event, held at Centara Grand Hua Hin’s well-renowned lobby lawn where they enjoyed a canopy of red lanterns and fragrant blossoms, lavish decorations which has become one of the hotel’s Spring Festival traditions. One of the highlights from the celebrations was a traditional Lion-Awakening Ceremony to spread all the good blessings of the Chinese festivities, followed by an exciting performance The Great Pyramid of Acrobat and a spectacular Chinese Lion Dance featuring Chinese drumming and cymbal clashes that captivated guests of all ages. The evening was also accompanied by the prosperous gala dinner filled with cuisines from around the world and irresistible Chinese specialties with live music throughout the night..
Capturing the New Year’s spirit of joy and prosperity, Centara Grand Beach Resort & Villas Hua Hin has ultimately made the perfect place for families to create memorableChinese New Year moments and celebrate the dawn of new beginnings.